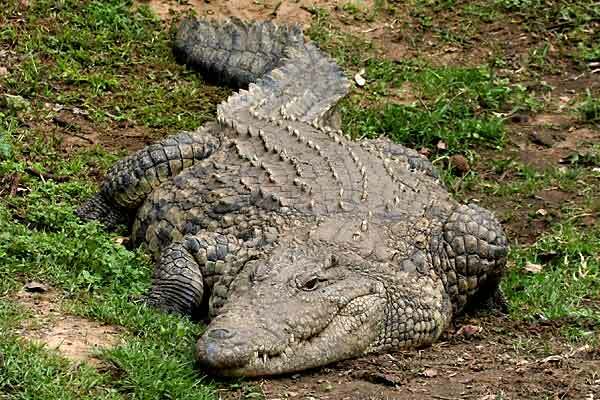 The centre has on display the three African species of crocodile, the Nile, Long-snouted and Dwarf crocodile, with some of the largest specimens in South Africa found in the various enclosures. Illustrated crocodile exhibits give visitors a fascinating insight into the lives of these amazing reptiles. The nearby St Lucia Estuary is one of the focal tourism spots of the Greater St Lucia Wetland Park, a World Heritage Site. The park comprises a number of conservation areas, the oldest of which is the St Lucia Game Reserve, established in 1895.